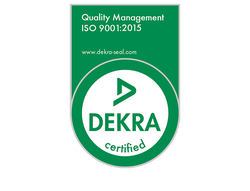 22 January 2019, ITEA Office successfully passed the annual ISO 9001 audit performed by DEKRA. The auditor was impressed by the quality approach in the ITEA Office and no issues were identified. His main observation was the strong focus on process measurements and related improvements in all the ITEA processes. This quality approach is also highly appreciated by the ITEA Community who rated the ITEA Office support in 2018 with a score of 4.0 on a 5-point scale (4 = very good). This score is based on 135 replies collected at different occasions (e.g. when projects finish, during project start-up and funding phase, after PO submission). Our events were also strongly valued, e.g. the Customer workshop received an appreciation score of 4.23 and the PO Days got a score of 4.12. Next year, there will be a prolongation audit to renew the ISO 9001 certificate for another three years. ITEA Office is always committed to keep up the good work and we are open to all suggestions for improvement, so please feel free to share your ideas with us via info@itea3.org! Since 2014, the ITEA Office has an ISO 9001-certified Quality Management System in place to ensure adaptability to the upcoming changes in industry and in the innovation landscape. As of 1 April 2017, the Quality Management System of ITEA Office meets the requirements of the new standard ISO 9001:2015. The new certificate (by DEKRA) is valid from 1 April 2017 till 1 April 2020 and each year an intermediate audit is executed to keep track of the developments.